Germany’s Loew and the 2008 Olympic Champ Eller of USA finished in second and third place, missing their last chance to win an Olympic Quota for London 2012. China’s Li Jun won the Double Trap World Title at the 2011 ISSF Shotgun World Championship held in Belgrade, Serbia, today. 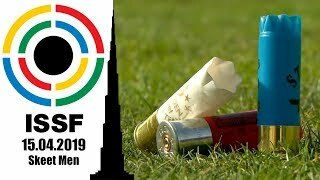 The 25-year old Chinese shooter finished on the highest step of the podium with a total score of 194+4 hits, after shooting-off Germany’s Andreas Loew, second with 194+3 hits, and also secured the only Olympic Quota Place to be awarded. Today’s final match was all about Olympic Quota: three finalists, Li, Loew and the reigning Olympic Champion, USA’s Glenn Eller, where looking for an Olympic qualification card. During the final match, the three of them where tied, then Eller missed his 37th target, sliding back in third place (where he closed the match with 193+4 hits). Li and Loew kept on shooting neck and neck right to the last pair, ending up with a tied score of 194 hits. 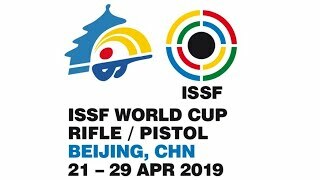 It was then the shoot-off to decide the Gold medal and the Olympic pass in favour of Li Jun, today’s less titled finalist. Li had indeed only participated in two ISSF World Cup Stages, in his career, winning a Bronze medal in Beijing, earlier this year. “It has been a difficult final, with a lot of tension right to the shoot-off. But I loved this match from the first to the last clay.” The Young Chinese athlete said. “I have been shooting since 2002, but I could not make the team to compete at the 2008 Olympic Games. To win a Quota Place here in Belgrade, at the last chance before the 2012 Games, is simply great.” He said, with a smile on his face. 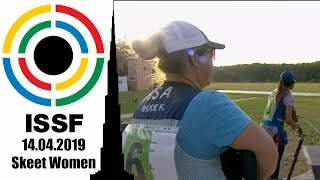 “I trained a lot, and I would like to dedicate this medal to my coach and my country… and also to my parents: I don’t see them since six months, as I was too busy with trainings…” Concluded the new World Champion, who will now be invited at the ISSF World Cup Final, taking place in Al Ain (UAE) starting from the 31st of September. 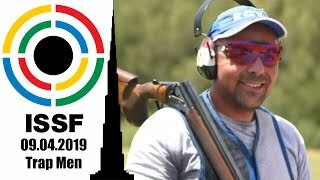 No Quota went to the Silver medallist, Germany’s Andreas Loew, who missed Germany’s last chance to enter a Double Trap Shooter at the 2012 Olympic Games. There are indeed no more Quota Places available for European shooters. The 29-year old shooter, who has a long series of world cup participations on his barrels, gave his best today, by finishing in second. Ranked 38th in the World, he had never placed better then 5th, in an international ISSF competition. The same occurred to the Bronze medallist, the 2008 Olympic Champ Glenn Eller of USA, who missed his last chance. USA only have one Quota, for the Double Trap event, won by Joshua Richmond at the 2010 World Championship. To finish upon today’s podium, Eller shot-off Russia’s Vitaly Fokeev and Malta William Chetcuti, who closed in fourth and fifth place with 193+3 and 193+1 hits, respectively. The second Chinese finalist, Hu Binyuan (the 2008 Olympic Bronze medallist) ended up in sixth place with 190 hits. The excellent scores of Li Jun and of Hu Binjuan, in addition to the 139 targets scored by Mo Junjie, lifted the Chinese team atop of the teams’ podium with a total score of 432 hits. 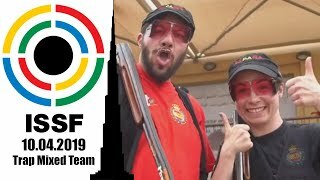 A great result matched by the Russian Federation (Vitaly Mosin, Vitaly Fokeev, Mikhail Leybo), that finished upon today’s podium with an overall score of 432 targets as well. The Bronze medal went to Kuwait (Mashfi Almutairi, Hamad Alafasi and Fehaid Aldeeani) with 431 hits.